The idea is to create a simple character with simple shapes. Draw them in a location and think of a verb for them to be doing. First of all you draw the verb being done over 4 panels. 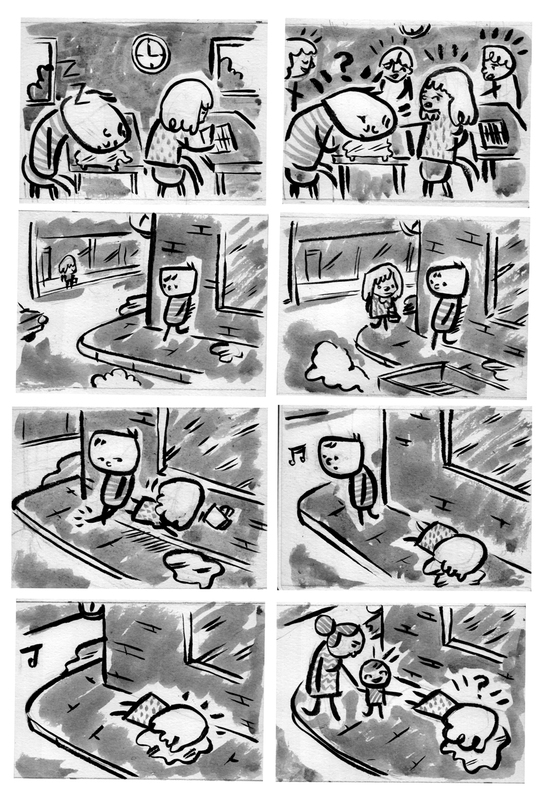 My action was to have the guy tripping somebody up, you can see this in the middle four panels below. If you haven't already guessed the next job was to create a motivation (first 2 panels) and a consequence (last two). Here we have a very simple but straightforward narrative that grows out of the original action. With no dialogue. Ace.